Discussion in 'TalkCeltic News' started by Moustache, Dec 25, 2017. Following on from their comprehensive victory against Aberdeen on Saturday, Celtic now turn their attention towards their next opponents, Dundee. When the sides last met back in October it was a relatively close affair, although Celtic ultimately won the game, courtesy of a 61st minute goal by Olivier Ntcham. The biggest challenge facing both sides heading in to this game is the onset of fatigue after a hectic month of games, something both mangers will surely take in to consideration when selecting their team for Tuesday. Looking at the players who featured against Aberdeen perhaps gives us a hint as to what sort of team we can expect to line-up come Boxing Day. Jozo Simunovic and Nir Bitton were both named as substitutes for Saturday’s game, yet neither managed to get any minutes during that match. That could perhaps suggest that the manager chose to rest them with the intention of having them start on Tuesday. However, some would argue that Kristoffer Ajer has made a very strong claim for a place in our starting elven over the last couple of games. The young Norwegian played the full 90 against both Thistle and Aberdeen, helping the side keep a clean sheet in both games. Whilst resting him for one match probably won’t do him too much harm in the long run, given his fairly impressive performances, Brendan Rodgers may prefer to keep his momentum going and start him on Tuesday. In regards to other changes in our defence, Cristian Gamboa is another potential candidate for a place against Dundee. Whilst the Costa Rican international has struggled for game time, given our hectic December schedule, the manger may be tempted to give Mikael Lustig a rest. The fact that Lustig has played the full 90 in all but one match in December, which will surely be taking its toll, may tempt the manager to save the Swede for our Hogmanay game. 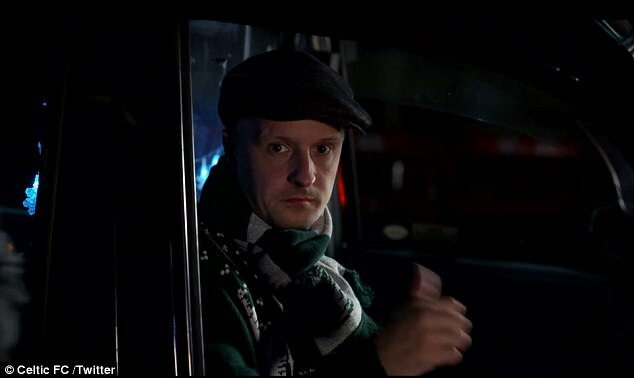 Will Leigh Griffiths drive Celtic to a win on Boxing Day? James Forrest, to the surprise of many didn’t start on Saturday with the manager instead choosing to give Jonny Hayes a rare starting opportunity (which certainly paid off). Whilst Forrest did get to make an appearance, as a 70th minute sub for Scott Sinclair, one would expect the Scotland international to be utilised to a greater capacity on Tuesday. One player who surprisingly failed to make an appearance against the Dons on Saturday was Leigh Griffiths. Whilst he was on bench, the manager ultimately chose to start Moussa Dembele and later replaced him with Odsonne Edouard. In choosing to rest Griffiths on Saturday, for seemingly squad rotation purposes, the manger is perhaps indicating that he’ll be in line for a starting place come Tuesday. Dundee currently find themselves languishing in 10th place, just two points ahead of Ross County and three ahead of Partick Thistle. With such small margins separating the teams in and around the relegation zone, Neil McCann’s men will obviously be eager to widen that gap and a win on Tuesday would see his side leapfrog Hamilton in to 9th. One Dundee player Celtic fans will definitely be keeping their eye on is Jack Hendry. It’s been reported by the media that Brendan Rodgers is an admirer of the 22 year old defender, and was allegedly in attendance, as a guest of the club, against Anderlecht earlier in the month. Whilst it sounds like January deal may already be on the cards, a strong performance against us on Boxing Day could potentially seal the deal. Could Jack Hendry play his way to a January transfer? The other Celtic interest in the Dundee side is our on-loan midfielder, Scott Alan. Alan has struggled somewhat during his spell with Dundee, having largely been utilised as a substitute for the most part. Whilst it’s unlikely that he has much of a future at Celtic, he’ll still be eager to impress his parent his club should he be given the opportunity. Dundee will be missing a number of players heading in to the game including Roarie Deacon (hamstring injury), Scott Bain (dropped due to off-field disciple issues) and long term injured players James McPake (fractured kneecap) and Craig Wheaton (cruciate ligament).